Now that I have my crockpot, I had to cook something in it. My first meal had to be short ribs. 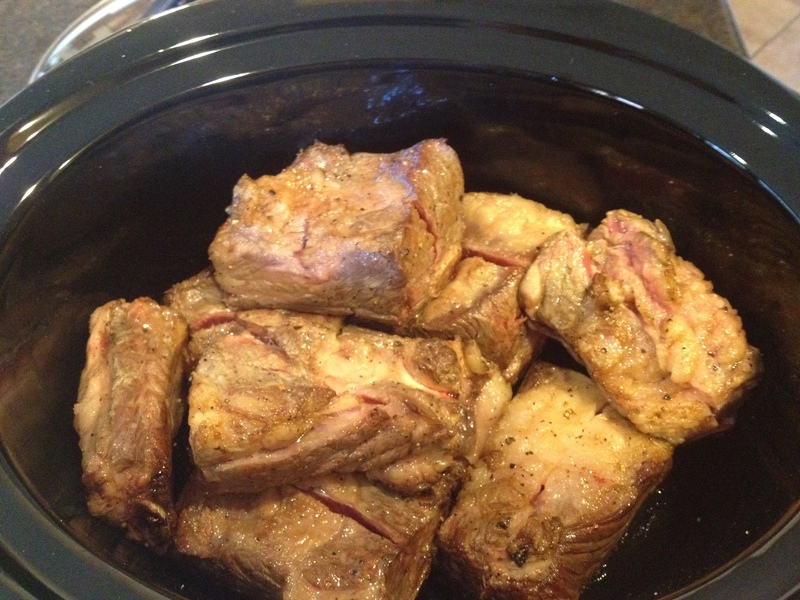 I think the crockpot was probably invented just to cook short ribs. I found this recipe on Food.com. 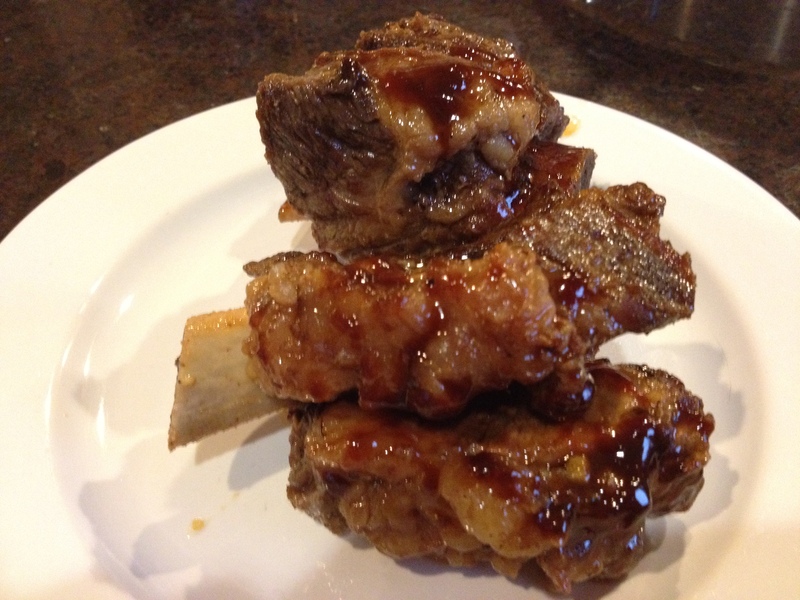 It was probably the easiest short rib recipe that I found. I prefer the recipes that involve me throwing things in a pot and leaving it. I’ll make one of those next time. 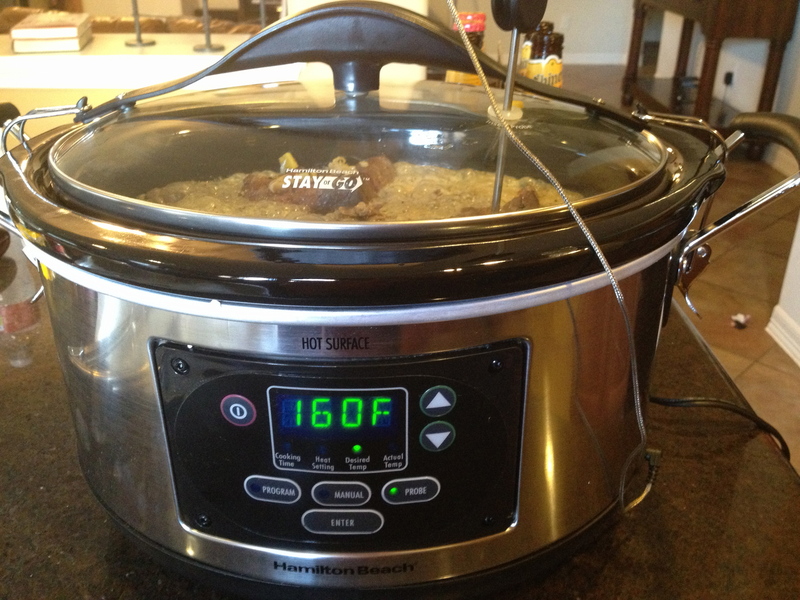 I’m going to buy a crockpot cookbook on my iPad, but I’m not really sure which one is the best. If anyone has one that they like, feel free to let me know! Season the ribs with salt and pepper. 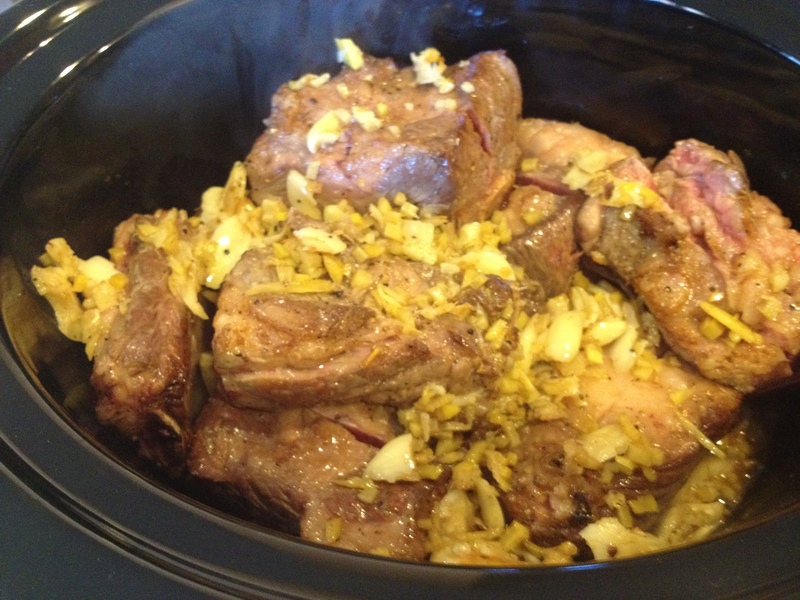 Brown the short ribs. 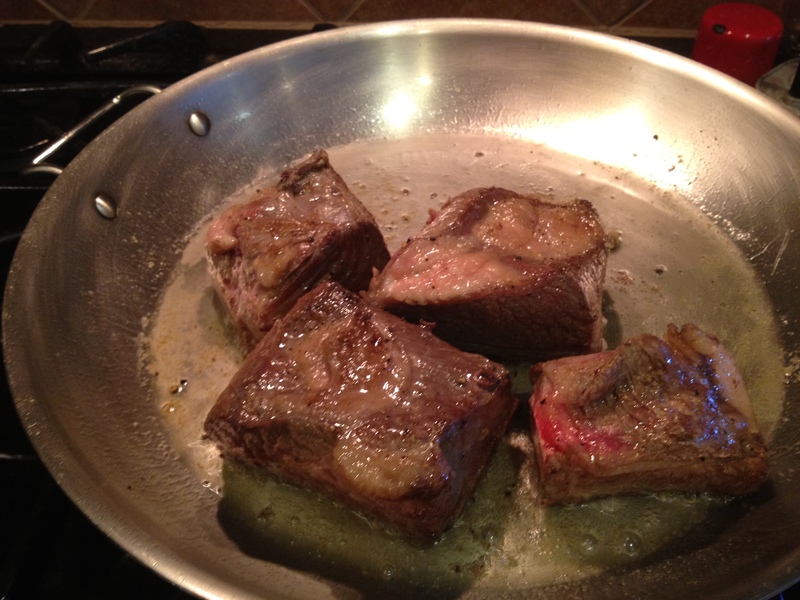 Remove the ribs and pour off all but a couple tablespoons of the fat. 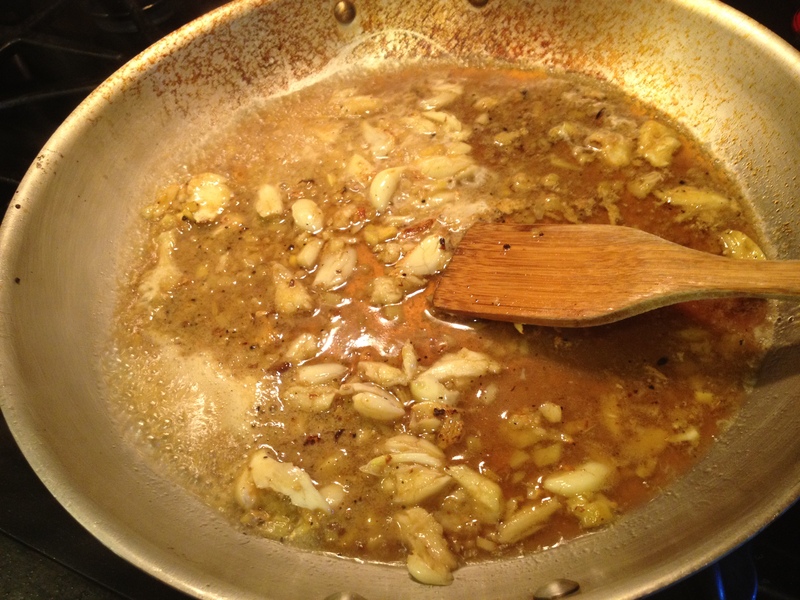 Sauté the ginger and garlic, once it’s sautéed pour the beer over it to deglaze and then turn the flame off. Pour beer and vinegar on the ribs until it’s covered. 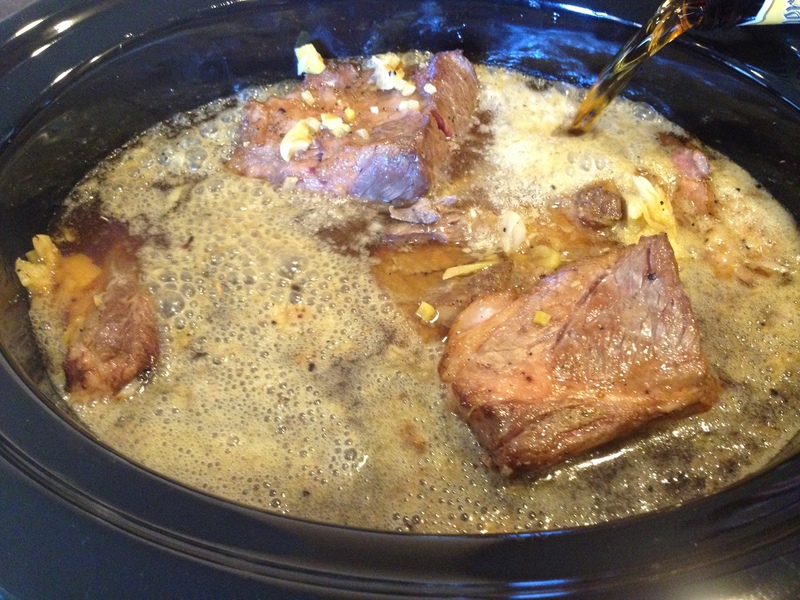 Cook in the crockpot for about 2 1/2 hours. 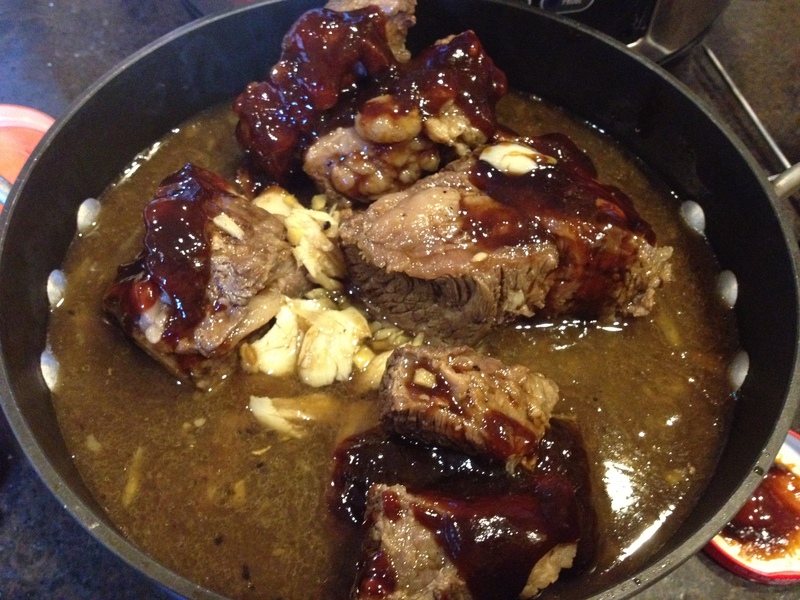 Add Hoisin Sauce and put in the pre heated oven (300 degrees) for 30 minutes. Put on a plate and serve with your favorite vegetables. YUM!!! What kind of good ale did you use? The recipe said Bass, but my store didn’t have any. I used Shiner.